Like the organizations they work for, individuals who succeed in today’s business world are the ones who never stop learning. At the Wake Forest University Institute for Executive Education, we offer open enrollment, certificate programs and customized learning programs that can sharpen your talents as a business leader and improve your company’s competitive advantage. Our programs are specifically designed to address the latest evolutions in business in order to provide highly personal education experiences that address real-world issues. Our overarching mission is to form deep synergistic relationships with organizations that embrace and believe in the value of executive education. Our goal is to build “practical competence” in applying new knowledge and leadership skills to specific business issues and challenges. Success in business requires practical wisdom to perceive changing circumstances, identify opportunities, and the ability to act quickly in synthesizing solutions to achieve results. There is a strong link between education and markets, and we are committed to giving leaders the knowledge and tools to drive extraordinary results. The program in environmental sustainability addresses the question, “How do firms adopt sustainability principles and practices within their core strategies and programs?” Corporations continue to identify the critical need to institutionalize sustainability efforts across all business units. Wake Forest University School of Business, the Center for Energy, Environment and Sustainability and the Institute for Executive Education offer a unique interdisciplinary Environmental Sustainability Program. The program combines business management, social sciences, humanities, sciences and law, to propel your efforts in sustainability. Participants not only learn about sustainability, they develop a Sustainability Action Plan (SAP) to take back to their corporations. During the sessions, participants will learn about the facets of sustainability from an interdisciplinary team of experts, deploy an ongoing analysis to their company and be coached on change management. Wake Forest University, in conjunction with Dalton Education, a leading provider of financial planning education materials, is proud to offer two Financial Planning programs designed to fulfill the education requirement to sit for the CFP® Certification Examination. Online Executive CFP® Certification Education is a self-paced program intended to be completed in nine months or less. Designed by former members of the CFP Board of Examiners, the programs offers customized learning based on existing knowledge of topics. Web Delivered (Live-Online) Certificate in Financial Planning is a live online course you can attend from home or work. The instructor led program offers a Guarantee To Pass™ package, in which students are guaranteed to pass the CFP Exam or receive a 100% refund. For more information and to enroll in either program, click here. By focusing first on your strategic business challenges, the Institute for Executive Education provides targeted, quantifiable custom solutions for talent and organizational development. We collaborate with you in developing instructional plans to address desired leadership competencies and capabilities to ensure high performance. Fundamental to any engagement in executive education is our commitment to following some simple guiding themes: provide leaders with the education and tools to make immediate and meaningful impact, help them achieve optimal personal performance, instill a commitment to producing broad economic value, and be prepared to lead across diverse global boundaries. 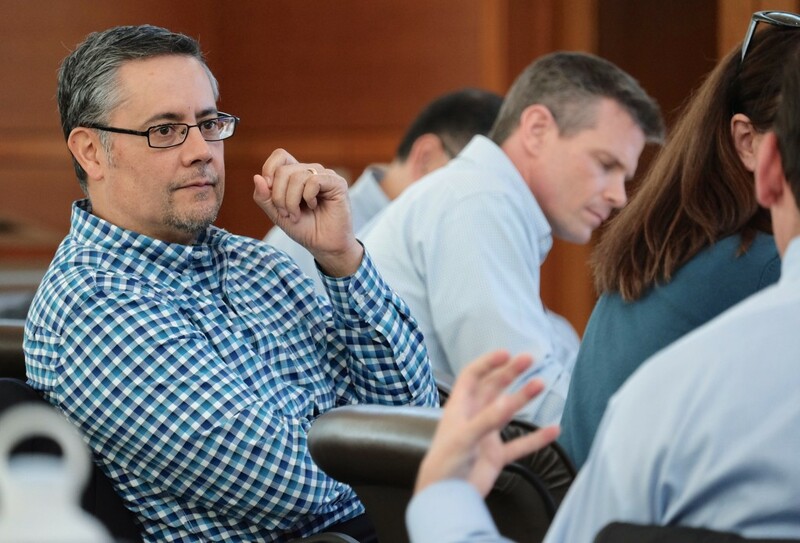 With a commitment to transformative results, we thoughtfully create custom programs by tapping into our cache of business experts at the Wake Forest Institute for Executive Education. Additionally, our 3 Academic Centers of Excellence provide outstanding industry research on markets and key management practices that are relevant and portable to our clients’ businesses. Programs can vary from simple half-day topic-based engagements to multi-week immersions addressing hi-potential talent development. Our experiential instructional techniques vary and may include: simulations, case study and problem analysis, job-specific projects, team competitions, 360-degree feedback sessions, role playing, and coaching. Our faculty design team collaborates with your organization and schedules in-depth discussions/interviews to design and benchmark programs. These conversations focus upon gathering essential information from internal stakeholders to determine learning objectives, emphasis, custom content, schedule and other requirements to ensure a robust and targeted educational experience. The Institute of Executive Education offers a number of options for delivery of open enrollment and custom programs. We can deliver content at company specific sites, or at Wake Forest facilities in three convenient locations — Farrell Hall, Wake Forest University Charlotte Center, and Graylyn Conference Center. The home of the Wake Forest University School of Business, Farrell Hall, is designed to streamline and inspire scholarly work, collaboration and faculty-student interaction. The $55 million, 130,000 square foot building, occupying four floors and surrounded by landscaped grounds, integrates state-of-the-art technology, flexible meeting and class rooms and dedicated social spaces. Elegant Georgian architecture encloses a stunning modern interior, connecting Wake Forest’s rich history to its cutting-edge future. In early 2012, in response to a tripling of its MBA student population since 1995, the Wake Forest University Charlotte campus relocated to 30,000 square feet of space in the former International Trade Center Building at 200 North College Street. Residing near some of the city’s most influential businesses and corporations, steps away from the diverse shopping and dining options of vibrant uptown Charlotte, the Wake Forest University Charlotte Center provides urban convenience and state-of-the-art technology to the busy working professionals enrolled in our programs. The unique features and communal spaces of the Charlotte Center make it a perfect setting for the School of Business to host guest lectures, workshops, lunch & learns, and networking events. Graylyn International Conference Center, located in Winston-Salem, North Carolina, offers guests a private estate of their very own. Built in the 1920s by one of America’s original captains of industry, Graylyn’s heritage is inextricably tied to business success. Just minutes from downtown, Graylyn’s vast 55-acre property allows visitors to experience a world away from the bustle of city streets. A perfect combination of a modern, sophisticated conference facility and an enchanting, historic residence. Graylyn is the ideal setting for inspired meetings. And, with magnificent architecture, carefully manicured lawns and gardens, and world-class service, busy executives can get away from it all and get down to business.